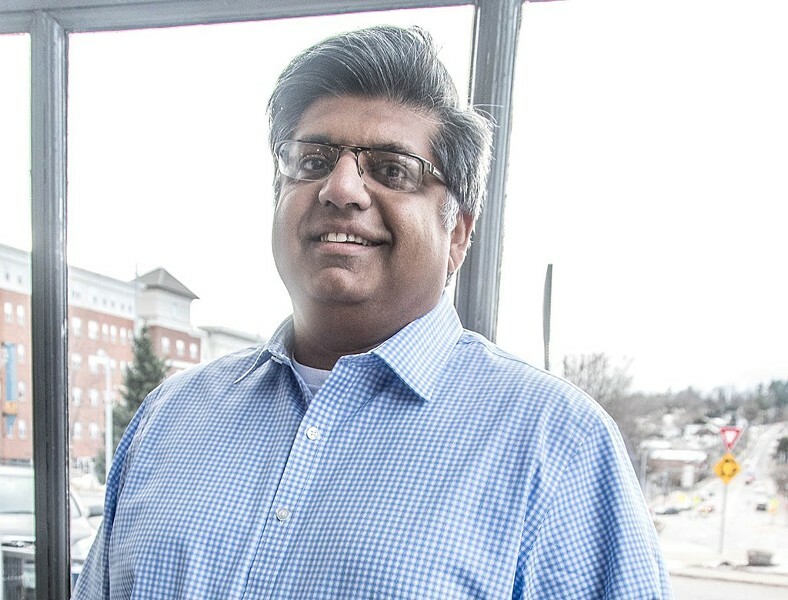 Vermont Democratic Party chair Faisal Gill has decided not to seek another term as party chair, and two others will compete for the post in an election Saturday. Last week, Gill told Seven Days he was considering whether to run; now he's made up his mind. "The big issue is I'm too interested in policy," he says. "As chair, I'm not supposed to be involved in policy." Like the difference between an umpire and a ballplayer? "That’s a perfect way to put it," he says. "I want to be a player." He adds that he "absolutely" plans to run for elective office "if the opportunity becomes available." Gill was a candidate for state Senate in 2016, when there were two vacancies among Chittenden County's six seats. He finished eighth in a hotly-contested Democratic primary. "If there are open seats for the Senate [in 2018], I will run," he says. Gill became interim chair in March, when Dottie Deans stepped down. And although he says his main motivation to relinquish the post is his desire to be "a player," he also acknowledges that he has faced criticism over his Republican past. When he lived in Virginia during the early to mid-2000s, he served in president George W. Bush's Homeland Security Agency and was a staunch Republican. Since moving to Vermont in 2012, he's been an active Democrat — but some were doubtful about him serving as party chair. "Certainly it's something I shouldn't have had to deal with," he says. "I've been a strong Democrat since 2005." Actually, in 2007 he was a Republican candidate for the Virginia House of Delegates, and his platform was thoroughly conservative — anti-tax, anti-abortion, anti-marriage equality, anti-immigration. Still, there's no apparent reason to doubt his Democratic bona fides. He lists universal primary care and debt-free access to a college education as two of the issues he wants to pursue as a citizen and potential candidate. The Democratic Party state committee will meet on Saturday morning at the Statehouse to elect new officers — and all five races will be competitive. As previously reported, Democratic National Committee member Terje Anderson of Montgomery is running for chair. Bolton town chair Peter Jemley is also running. Three people are seeking the vice chair position. Tess Taylor of Barre is a former state lawmaker and current party treasurer; Brittany Cavacas is the chair of the Rutland City Democrats; and Scott Garren is a past chair of the Rutland County party and a 2016 candidate for state Senate. Billi Gosh of Brookfield, a former member of the DNC, is running for treasurer, as is Mildred LaBeur of West Danville, treasurer of the Caledonia County party. There are three candidates for assistant treasurer: Johnson resident and former House majority leader Floyd Nease; Ed Cafferty of Burlington, who was chosen by Lt. Gov. David Zuckerman to serve on the state party's executive committee; and David Glidden, who was a field organizer for the party in St. Albans. Finally, two entrants will face off to become party secretary: Noah Detzer of White River Junction, who was a Bernie Sanders delegate to the Democratic convention in 2016; and Michael Ross, chair of the Essex town party. Those candidates will be on the printed ballot. Others could be nominated from the floor on Saturday. “It’s a good sign that there are so many contested races,” says the party's executive director, Conor Casey. That could very well be; but in some cases, there appears to be direct competition between party regulars and Sanders backers. Will these be friendly contests among colleagues, or will they underscore lingering tensions in the Democratic Party? Correction, November 15, 2017: A previous version of this story incorrectly reported Michael Ross' position in the Democratic party.